If the 2016 24 Hours of Le Mans was all about Ford, you could make the case that the 2016 Pikes Peak International Hill Climb is all about Acura. The Japanese luxury carmaker isn’t trying to recreate a historic victory, but it is going all out for Pikes Peak. 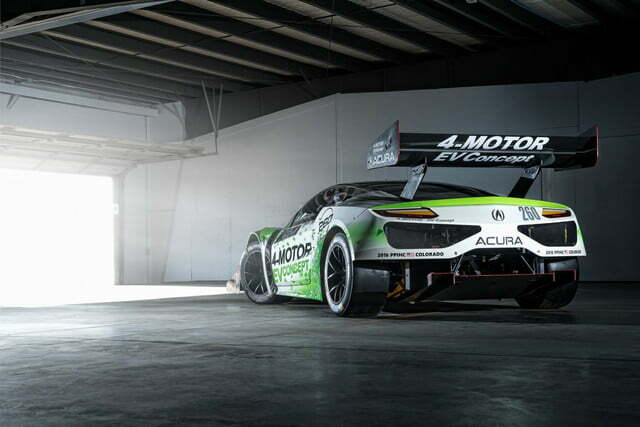 In addition to two 2017 NSX supercars that will run in the Time Attack 1 and Time Attack 2 classes, Acura is bringing an “NSX-inspired EV concept” for the Electric Modified class. This is the same class as last year’s overall winner, the radical Drive eO PP03 driven by Pikes Peak veteran Rhys Millen. 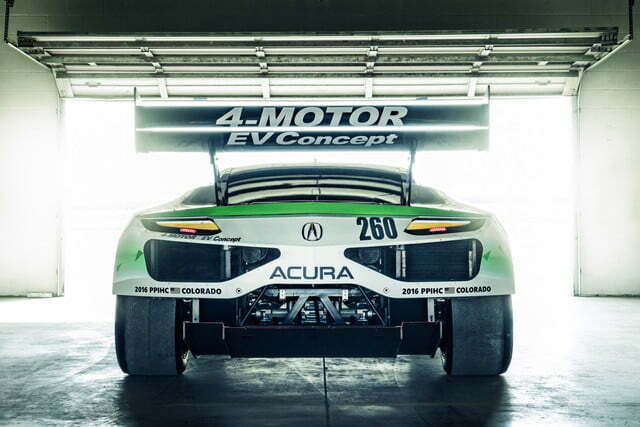 That car was a purpose-built racer, while Acura’s entry uses a stock NSX body as a starting point. The Acura concept uses an evolution of the four-motor electric powertrain from a prototype Honda CR-Z that raced last year. A pair of electric motors on each axle give the car all-wheel drive, and can shunt torque side to side to help cornering. 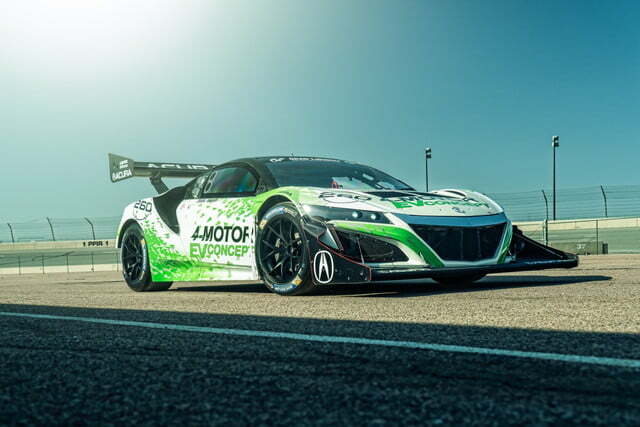 The NSX-based racer will also be driven by the same person who drove last year’s electric CR-Z, Tetsuya Yamano. 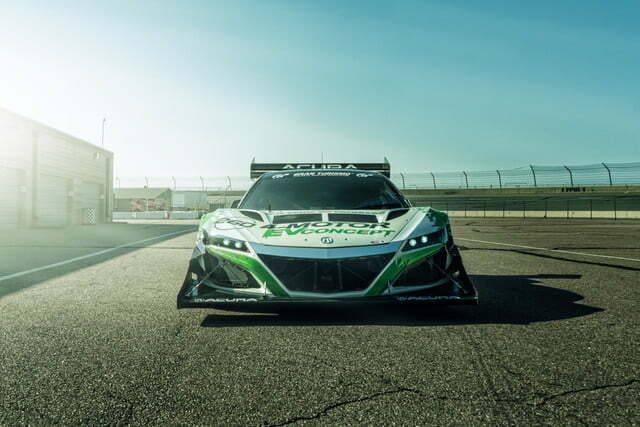 The electric powertrain should give the Acura concept an advantage at Pikes Peak, where high altitude limits the performance of internal-combustion engines. In addition to converting the NSX from a hybrid to an all-electric car, Acura made extensive modifications to the body. It’s still recognizable as an NSX, but the exaggerated fender flares and massive spoilers make the racer look like a full-size version of a remote-controlled car. The other two NSX racers will be more like the cars people can actually buy. The Time Attack 2 car will be basically stock except for added safety equipment, while the Time Attack 1 car is more extensively modified, with a lighter chassis and higher-flow exhaust system. The cars will be driven by James and Nick Robinson, brothers who both work for Acura. James is part of the carmaker’s North American powertrain development group, while Nick worked on NSX development. This year marks the 100th running of the Pikes Peak International Hill Climb, so a class win by any of the three NSX racers would be a major publicity coup for Acura. The action starts June 26. If things don’t work out, Acura also plans to take the NSX road racing beginning next year. Is Fiat-Chrysler CEO ready to embrace electric cars after all?